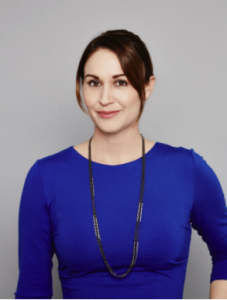 Santa Barbara Tech Company Opens Application Window for Annual Entrepreneur Awards. Submissions Accepted Until August 18, 2017. 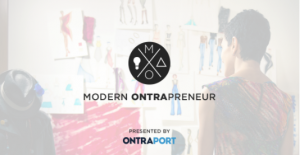 SANTA BARBARA, CA, UNITED STATES, July 27, 2017 /EINPresswire.com/ -- ONTRAPORT, a leader in marketing automation software for entrepreneurs, is now accepting applications for its annual MODERN ONTRAPRENEUR Awards. The awards recognize five small business owners and entrepreneurs who have implemented innovative business solutions to grow their companies and serve their customers. Applicants do not need to be current ONTRAPORT users; entrepreneurs and small business owners worldwide are encouraged to apply. Winners will be recognized during ONTRApalooza, the company’s three-day marketing summit Oct. 4-6 in Santa Barbara, California. Each of the five winners will receive a free ticket to ONTRApalooza, recognition on stage at the event, a success story feature on ONTRAPORT’s blog, and a free ONTRAPORT account for a year. In addition, one grand prize winner will receive $5,000 to grow their business further. The application is free and consists of providing information about your business via a simple, two-step form. Applicants will have until Aug. 18, 2017 at 11:59 PT to submit their application, and winners will be contacted Sept. 1, 2017. For over a decade, ONTRAPORT has been a leader in marketing and business automation software for small businesses and entrepreneurs. Our mission is to support entrepreneurs in delivering their value to the world by removing the burden of technology, and we deliver on that mission by creating software, offering services, and educating the entrepreneurial community. Learn more at ontraport.com.